The second interview comes with an entirely new set of rules in addition to those which govern the first interview. This is because, typically, a second interview involves speaking with a number of people in addition to the one you initially met. Consequently, though there is a degree of familiarity in the air during the second interview, there is also a heightened sense of stress because you're one step closer to snagging the job. Here, we'll look at some helpful hints for getting you through your second interview and, hopefully, into an ergonomically correct work chair. Above all else, you'll need to come to this interview even more prepared than you were for the first. That's why taking notes during and after your initial face-to-face is so critical; essentially, you can use those scribblings to make a great impression during the next interview phase. For example, let's say that you discovered in your first interview that the company for which you're trying to work is in dire need of someone who can upgrade the externally-distributed corporate newsletter. On your second interview, you can bring examples of the methods you feel could be employed (by you, of course!) in order to take the newsletter to the "next level." It will show that you've done some homework between your first meeting and the second, and also establish that you're a self-motivated go-getter. You only have one suit? Then buy another one. It's never appropriate to wear the same thing to the first and second interviews (except in the unlikely event that they occur on the same day.) Even if your interviews are weeks apart, opt for a different outfit. Consider it an investment in your employment future. If you lack the funds to buy an appropriate jacket, tie, skirt, or other item, you can always ask friends if you can borrow something from their closets. More often than not, family members and acquaintances are more-than-happy to loan you apparel so you are appropriately clad for your second interview. Remember how you primed yourself for your first interview so you could "wow" your prospective employer with the benefits associated with hiring you? Think back to that initial discussion and try to recall exactly what seemed to impress your interviewer(s) the most. Then, make sure you focus on those elements during your second interview. Though you might feel odd saying some of the same things over again (especially if one of your interviewers is the person who interviewed you the first time around), know that it's important for you to hit those "selling points" a second time… hard. After all, this is probably your final chance at the position; use all the arrows in your quiver for the most impact. No matter what, it's extremely important that you take a few minutes before your interview to calm your nerves. Walk around the block or do deep breathing exercises. Read a few passages from an inspirational book or call a supportive, cheerful loved one. 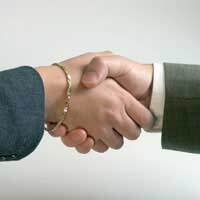 Do whatever it will take for you to walk through the door with a genuine smile and a firm, assertive handshake. Go forward and get that job!